Warner Bros. has released some stylish Justice League posters so far, but you've never seen anything quite like these. Warner Bros. teamed up with Poster Posse artist Orlando Arocena to produce a selection of Day of the Dead inspired Justice League posters, and they are phenomenal. Each League member gets a full makeover, with skulls, tattoos, and beautiful calligraphy, while still incorporating their traditional symbols (Aquaman's logo, Batman's Bat Symbol, etc). Poster Posse shared the art with the caption "We are honored and thrilled to share our new collaboration with Warner Bros. Cine - Latino with stunning new art by Poster Posse Pro Orlando Arocena- Mexifunk Illustrator for the movie we are dying to see." All of them are stunning, though Batman and especially Cyborg standout above the others. In Cyborg's case, the coloring around his human eye is gorgeous, heightened by the glow from his cybernetic one. As for Batman, the embellishments around his eyes are similarly striking, as is the design around his mouth. Throw in the implementation of the Bat Symbol on his cowl and you've got yourself a stunning piece of imagery. You can view the posters in the gallery. Day of the Dead is also known as Dia de losMuertos, and is a two-day celebration of love and respect for a family's deceased loved ones. It originated thousands of years ago, as tribes looked for a better way to honor the dead, as mourning was considered disrespectful. The foundation for Dia de los Muertos was therefore established, and it has morphed along the way into the two-day festival we see today. As for the Justice League, they deal with the death of a hero in their own way. The team is created as a result of Superman dying in the battle with Doomsday, setting Batman and Wonder Woman on a path to avenge that death and create a new age of heroes. Maybe once the movie releases fans can get a Superman poster in this same style. You have to complete the set, right? Justice League currently enjoys a 4.16 out of 5 on ComicBook.com's anticipation rankings, and you can submit your vote here. 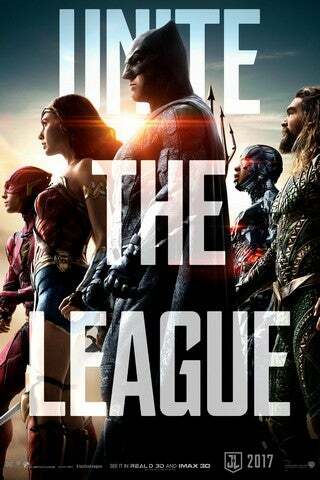 Justice League lands in theaters on November 17.